Kelly Manufacturing Company (KMC) manufactures the R.C. Allen line of aircraft instruments and is the world’s largest manufacturer of general aviation instruments. The R.C. 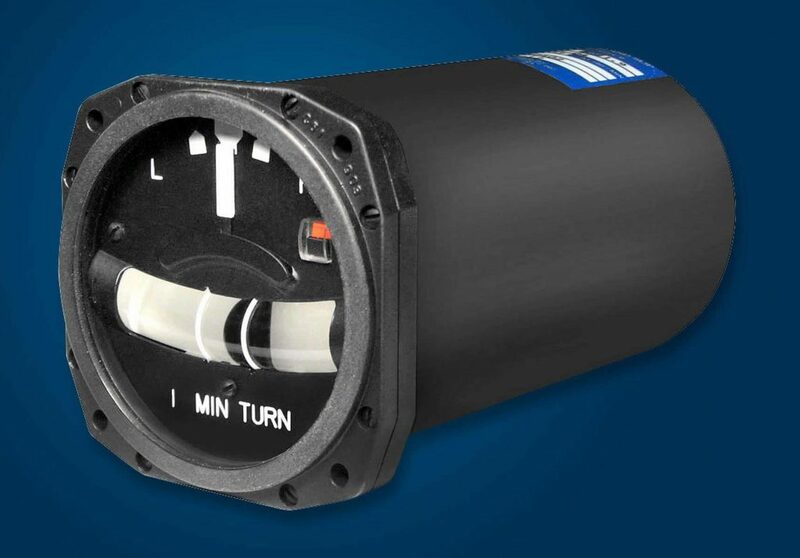 Allen line includes air and electric–attitude gyros, directional gyros, turn and bank indicators, turn and slip indicators, turn coordinators, tachometers, engine gauges, voltage warning systems, battery probe assemblies and voltage inverters. Instrument manufacturing requires stringent testing facilities and a solid quality system to ensure that aircraft pilots have functional and reliable systems for a safe flight. The M3500 instrument is a “turn and bank” indicator which provides the pilot with the rate of aircraft turn. A critical component of the M3500 is the toroid housing that contains the coil used to power the gyro at the heart of the instrument. The housings were previously made of urethane castings. It was hard to hold tight dimensional specifications for housing height using this method and manual sanding was required to remove artifacts from the casting process. Another concern with this approach is that new tooling had to be produced at a considerable cost whenever the design changed. Delivery lead time for 500 castings was three to four weeks. Rapid Processing Solutions Inc. (Rapid PSI) is a contract manufacturer that specializes in Additive Manufacturing Aerospace parts. The company uses Stratasys 3D Production Systems to make production parts for most every large business jet manufacturer worldwide. Most of these parts are made with SABIC’s ULTEM 9085 material, which is a strong, lightweight thermoplastic widely used in aircraft interiors. The material is heat resistant up to 320° F (160° C) and is inherently flame-retardant, offering full FST (flame, smoke and toxicity) compliance, including 55 kw min/m2 heat release and peak heat release using the OSU test method. Rapid PSI introduced KMC to direct digital manufacturing and the ULTEM material with successful results. For KMC, Rapid PSI now produces 500 toroid housings in a single run on a large-frame, FDM-based, Stratasys F900 3D Production System. Rapid PSI can start a run in the evening, and have a batch of parts ready by morning. “We liked the idea that there was no need for tooling, so it was easy to switch to the new material and process,” said Justin Kelly, KMC President. Achieving tight tolerances of 0.003 in. (0.0762 mm) FDM provides substantially better dimensional accuracy than the urethane casting process, and it eliminates the need for hand sanding. The temperature rating and burn data for ULTEM 9085 substantially surpasses the material previously used. “The lead time for 500 units has been shortened to three days from order to delivery of parts,” Kelly said. “In the aircraft world that’s quick for certified production parts.” An added benefit, per-piece costs, have been reduced by 5 percent and tooling costs have been eliminated.